For the men and women who serve as our nations’ Police and Law Enforcement Officers, their jobs are more than a fraternity, they are a way of life. They receive a barrage of 911 calls with citizens screaming “I’ve been in a bad wreck and need help,” or “help we have just been robbed,” or “my child is choking, what I do?” This is just a daily routine for the type of calls Police and Law Enforcement Officers have to deal with on a continuous basis. Police and Law Enforcement Officers are passionate about their jobs, and many are also passionate hunters, including Officer Matthew Humble with the Russellville, Kentucky police department and Kentucky State Trooper Jermaine Savage, who formed Police Pursuits Outdoors. Both Humble and Savage have been hunting since a very young age, and now their mission is to capture their fellow law enforcement officers’ hunting passions all across the United States by filming great deer, turkey, coyote, and elk hunts, while also filming the same officers conducting their daily routines at their local police departments. Recently Humble and his brother Jason, a former Captain in the United States Marine Corps, founded Brothers in Arms Game Calls. “This is unlike other game call companies in many ways,” said Humble. “Jason served in the Marines, fought in Iraq, and has a passion for wounded military personnel and the families of fallen soldiers, law enforcement officers, or firefighters. We offer great, American Made, high quality, consumer friendly hunting calls and give a portion of every single solitary sale to charities that support the families of fallen or injured military, police, firefighters, and EMS service members. The main charities we give back to are: Folds of Honor, the Wounded Warrior Project, and Supporting Heroes. These three charities all support the causes that Brothers in Arms Game Calls are passionate about,” said Humble. 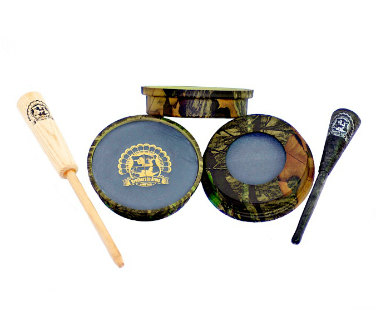 For more information on Brothers in Arms Game Calls, visit their website at www.brothersinarmsgamecalls.com.